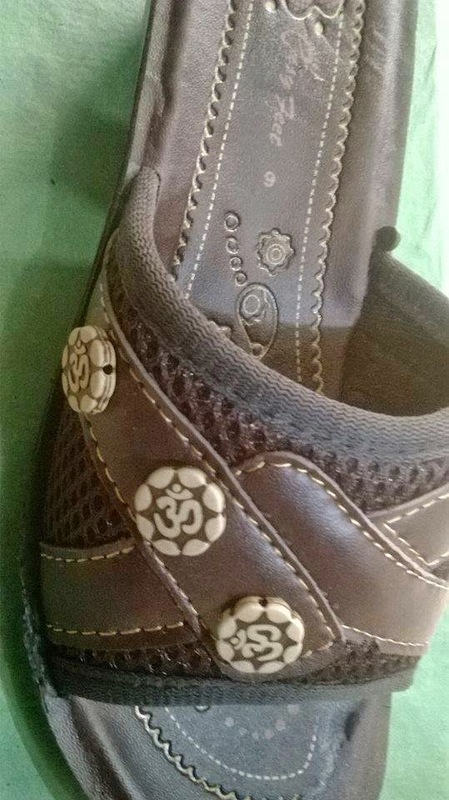 "Please Stop these Stupid Games: Kidnapping of young Hindu Girls and Force Conversion, Attacking upon the Temples, and Setting the Temples on Fire, and now the one Shoe Making Factory of Lahore has prepared shoes with the title and design of sacred name of OM (Almighty God). This is selling out in open market of Pakistan. Involving the celebrators of Holy Festivals in Blasphemy Cases. Which kind of impression, the extremist wants to give regarding the self respect, integrity of Islam and Islamic Republic of Pakistan. 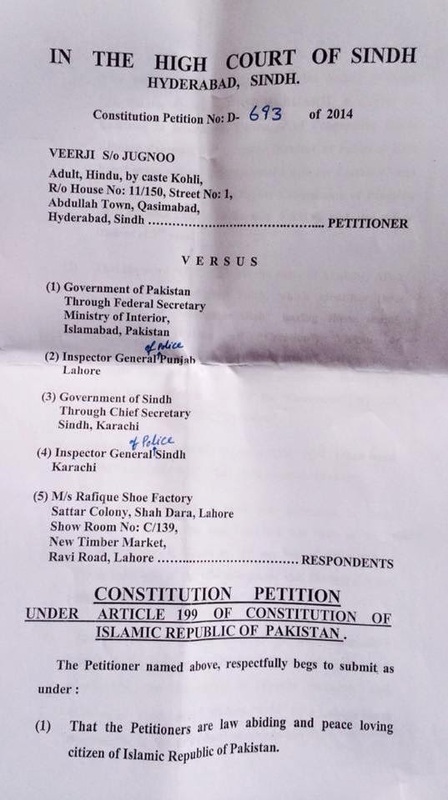 (this news has been published by Today’s daily Ibrat, Hyderabad)"
Copy of Notice: by High Court of Sindh Hyderabad Sindh. "OM" Written on Shoes. 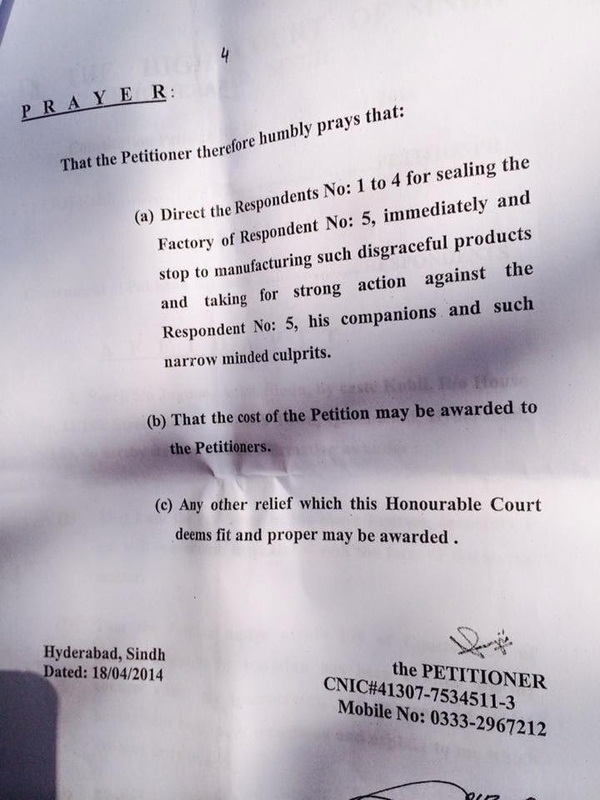 Case Filed 18 April 2014 in High Court of Sindh , Hyderabad.
" OM Written on Shoes An Insult To The Hindu Communities of Pakistan. 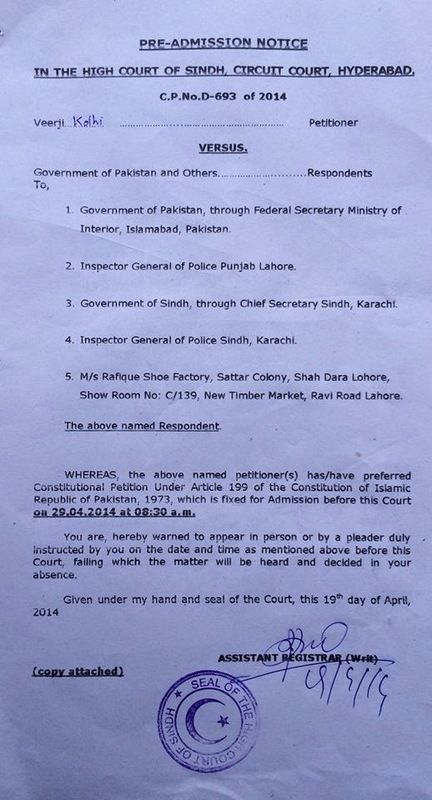 (1) Government of Pakistan, Through Federal Secretary, Ministry of Interior, Islamabad, Pakistan. Show Room No: C/139, New Timber Market, Ravi Road, Lahore"
Advocate Veerji Kolhi has filed this case a result of a local Shoemaker printing the OM on shoes to be sold to the public in Pakistan. The police allowed it to happen and they did not put a stop to this! The Governments of Pakistan and Sindh did not object! This is a deliberate act to further cause shock and offense toward the Hindu communities living in Pakistan, and it was even published in the Daily Ibrat, a local periodical to heighten their shock and promote more needless suffering. It should be understood that the offense is that this word represents the Divine. The Supreme G-d! The Hindu communities of Sindh have endured the Destruction of three Holy Shrines, an armed threat to their communities over the alleged writing of the name of Allah during the Hindu festival of Holi and false Blasephemy cases filed against Versi Kolhi and two others. Advocate Veerji Kolhi has even endured a new false case filed against him for Kidnapping and Theft in order for these enemies to stop any opposition for them in upcoming elections. It is not acceptable that there is a double standard that Muslims can be outraged at the writing of Allah's name during Holi, a very beautiful and happy celebration of Colors yet find it perfectly acceptable to write the Name of G-d for Hindus, The OM on shoes! Can anyone imagine the insult? Who would place the name of G-d on shoes that His Holy name could be desecrated as people walk on dirt roads? This is highly offensive and extremely wrong to do to any people! This is a threat to the Hindu Communities! This is adding insult to injury after the breaking of Idols that are revered by Hindus of these communities and complete destruction of Temples! What gives anyone the right to do such a heinous act? IUFE will make public every incident against Hindus that is done! 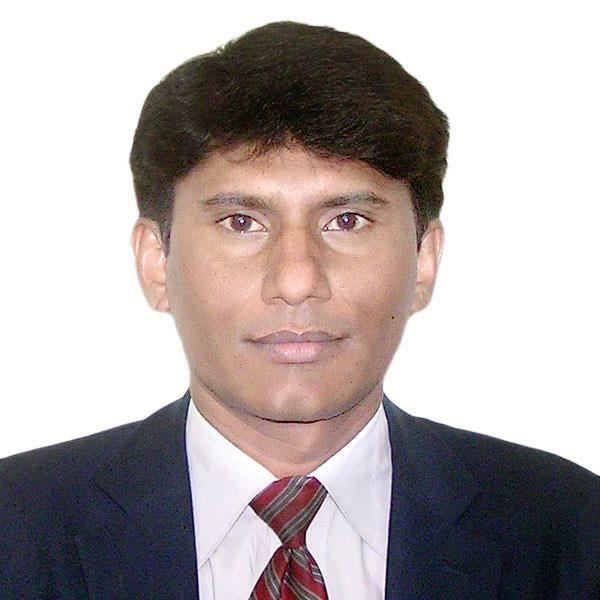 IUFE supports Advocate Veerji Kolhi as he strives to bring Justice to his people for the devastating acts committed against them.